FOXBORO, Mass. – Foxboro is a team that prides itself on defense and limiting opposition chances and in Thursday night’s Div. 2 Central/East quarterfinal against Concord-Carlisle at Sam Berns Community Field the Warriors were typically stout for three quarters. It was the one quarter where things broke down that ended up being the difference. The visiting Patriots scored five unanswered goals in the second to break open a tie game and take control before halftime. That quarter proved decisive, as Foxboro (15-4) held Concord-Carlisle to only two goals in the second half (and none in the fourth) but could not find a way back into the game and saw the season come to a close with a 9-6 loss. “I’m just proud of the boys and the way they battled all year,” said Foxboro coach Matt Noone after taking time to speak with each player and give each player a hug following the final huddle. The Warriors got off to a rough start when, three minutes in, senior Patrick Kaveny’s cross-field pass on a clear was intercepted. Foxboro was subbing players at the time and the Patriots were handed a three-on-none break that was eventually finished off for a 1-0 lead. That lasted only a minute before sophomore Bobby Yerardi found the back of the net with an overhand shot on the run to tie it. With two minutes left in the first, the Patriots regained the lead but again Yerardi had the answer, turning the corner and ripping a shot under the bar with 42 seconds on the clock. While the teams combined for four goals in the first 12 minutes, Concord-Carlisle came out strong in the second and scored four times in the first four minutes. Foxboro did have a few chances offensively in the second, but not many. Louis Piccolo, Foxboro’s top scorer in the regular season, was pretty tightly marked by Henry Nelson all game but he got free with five minutes left to the break only to have his shot ricochet off the helmet of Patriots goalie Ben Kacher. Sophomore Shayne Kerrigan had a good chance four minutes later but that was also saved. With only 21 seconds left in the half, Foxboro had a rare breakdown defensively. Robert Doherty shook a pair of markers and wound up before unleashing a rocket past Foxboro goalie Jake Addeche. The momentum was with the visiting team at the break and it continued in the third quarter when Alexi Hunt fired a shot past Addeche to make it six straight for the Patriots. Foxboro responded right away to stop the bleeding. Kerrigan won the face-off and Mike Collins scored with a running shot to make it 8-3. Foxboro also went man-up following the goal and the Warriors took advantage. Brendan Tully finally got his hands free and rifled a shot into the corner to get back within four. Two minutes later, Addeche stopped a bouncing shot and appeared ready to break up the ice but play was halted for a two-minute, locked-in penalty against the Warriors. Matt Moreau found space in the middle and scored with a bouncer to make it 9-4, but Kerrigan won the ensuing face-off and allowed the Warriors to run out the penalty. It was a momentum-builder for Foxboro and the players seemed energized when Ronnie MacLellan put in a good check to force an errant pass, raced up field in transition, drew a penalty, and forced a save out of Kacher. The defense continued to be strong to the final whistle with Patrick Stapleton, Will Morrison, Kaveny, and MacLellan locking down the shooters and Addeche getting stronger as the game wore on. In the fourth, Piccolo finally got going. He beat his man to the left and scored with an overhand shot for his first of the night to make it 9-5 with 8:31 left. Exactly four minutes later, he twisted and turned his marker before again finding the goal with a close finish. Unfortunately for the Warriors, it would be as close as they would get as Kacher stopped shots from Kerrigan and Tully and several chances flew past the post. After a Davenport division title during the regular season, Noone admitted that some of the league games were not enough of a challenge to prepare the Warriors for this level of competition. Of course, Foxboro also had not played in two weeks (Concord-Carlisle won its opening round game on Tuesday) and that lack of game sharpness was a major factor. FOXBORO, Mass. – Fans were treated to a playoff preview on Wednesday afternoon as two of the top teams in Division 2 Central/East collided on Sam Berns Community Field. 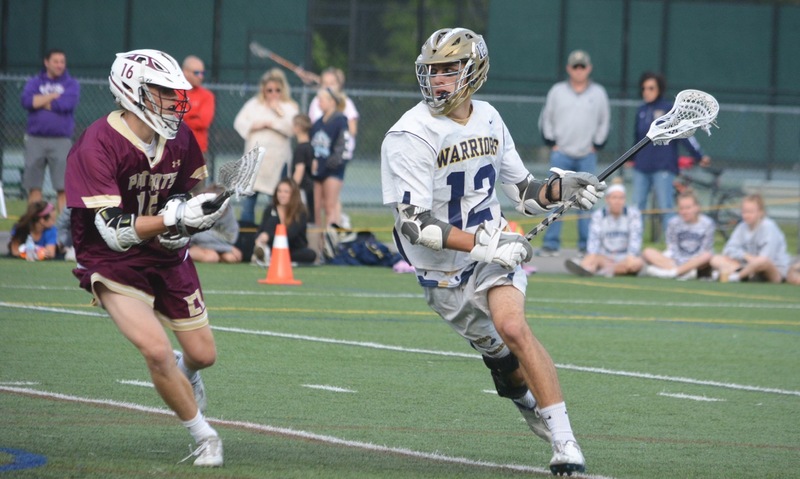 For the second game in a row, Foxboro held tight with a perineal state power through a quarter and a half but Wayland built a four-goal lead by half and never looked back en route to a 15-6 win. After a relatively close first quarter ended with Wayland up 3-2, the visitors made a 4-0 run to start the second quarter, eventually leading to a 7-3 halftime. Wayland scored the first two goals of the afternoon before Bobby Yerardi (two goals) put Foxboro on the scoreboard. One minute later Brendan Tully (two goals, one assist) tied the game with a man-up snipe. After Wayland’s Christopher Balicki scored his second of the quarter, the first period ended at 3-2 in favor of Wayland. In the second quarter, Wayland junior Michael Lampert (four goals, two assists) took over, scoring two goals, and assisting on another to help establish a 4-0 run to give Wayland a five-goal lead. Yeradi scored his second goal of the game on an assist from Tully to stop the bleeding just before half. Wayland won five straight faceoffs to start the second half, resulting in the majority of time of possession and a 4-1 to extend its lead. 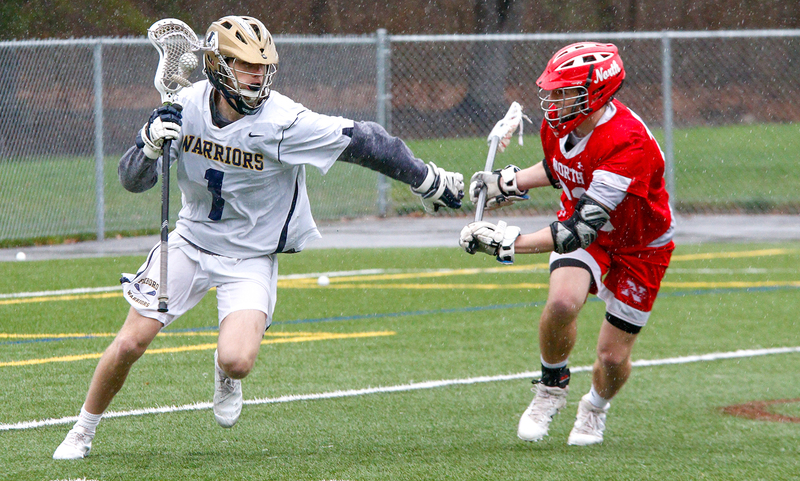 Beyond Wayland’s strong day at the faceoff X, the Warriors were plagued by 15 turnovers. The visiting Warriors held a 9-3 edge in faceoffs in the second half made it challenging for Foxboro’s defense to get a break. Foxboro’s defense played well at the beginning of possessions, but Wayland’s patience on offense paid off. Wayland FOGO Jake Tyska set the tone for the second half, winning the opening faceoff and scoring himself to extend the lead to five just 13 seconds into the half. Tyska won the next four faceoffs and even scored again on the same play, mounting a 4-1 run to start the second half. The lone Foxboro goal came from a man-up rip from Louis Piccolo. 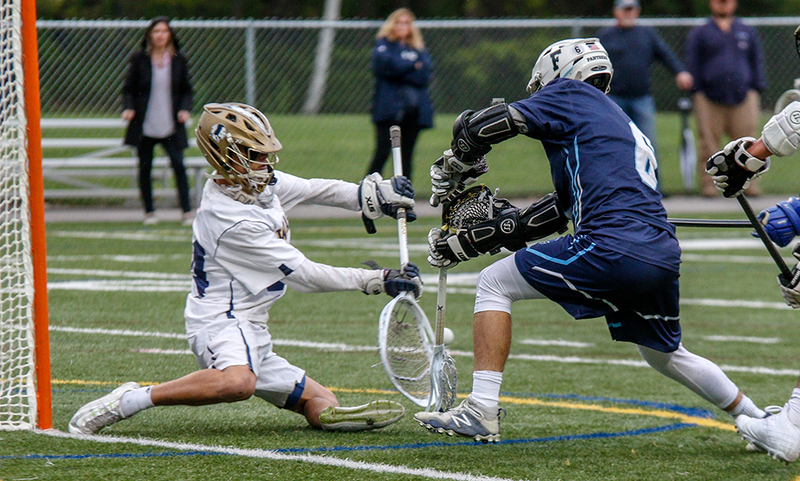 Foxboro carried a man-up possession into the final quarter but was unable to turn it into anything as Wayland goalie made a huge save on Piccolo’s rifle. Foxboro’s Mike Moses scored the lone Foxboro goal of the fourth quarter and Wayland was able to run the clock down for the remainder of the game. Wayland (15-2), now on a six-game win streak, will finish their regular season against another D2 Central East foe in Concord-Carlisle, while Foxboro (14-3) will close out the regular season at Milford.